Do I need to download it? 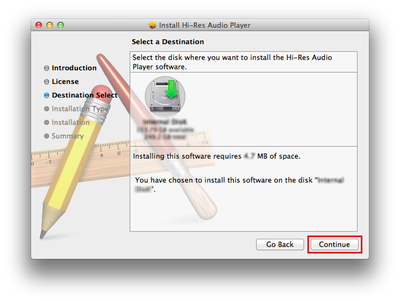 Hi-Res Audio Player is a music playback software to be able to enjoy the playback of high-quality sound files such as DSD files. Features of the software. Note: Intel CPU models, 64 bit (10.6, 10.7, 10.8, 10.9, 10.10, 10.11, 10.12) and 32 bit (10.6, 10.7) are supported. Note: TA-ZH1ES model does not support Mac OS X 10.6. "Windows needs your permission to continue” message appears in the User Account Control dialogue box. Click [Continue] to proceed, and follow the announcements. 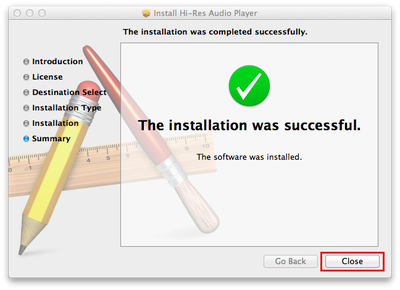 Double-click the installer file "Hi-ResAudioPlayer_1.2.6.pkg" saved in your computer. Installer package will be unpacked. 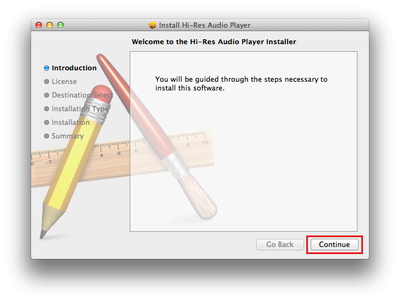 Welcome to the Hi-Res Audio Player installer screen is shown. Click [Continue]. 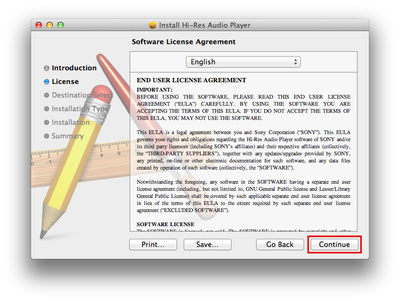 Software License Agreement screen is shown. After you confirm the text of the agreement, Click [Continue]. 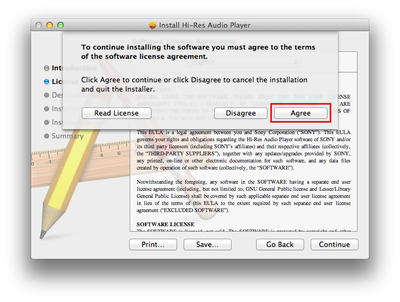 When you accept the agreement, Click [Agree]. Select a Destination screen is shown. Select a disk and Click [Continue]. Specify the installation type. 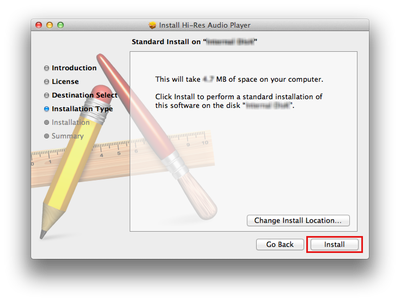 For standard install, internal hard disk drive is selected automatically. If you want to install to another drive, Click [Change install location...]. After you select the destination, Click [Install]. 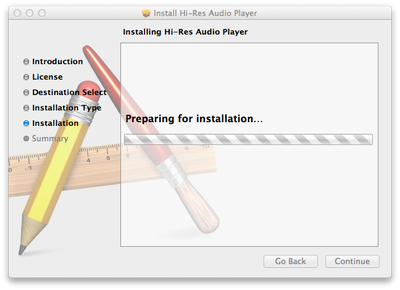 Installing Hi-Res Audio Player screen is shown and installation is started. 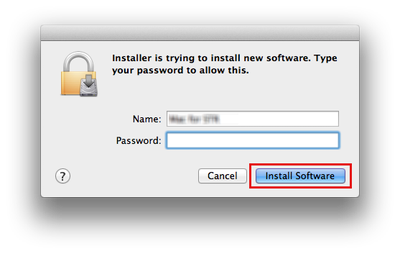 When login password is required, type your password and Click [Install Software]. After installation is completed, The installation was completed successfully screen is shown. Click [Close] to exit installer. To start Hi-Res Audio Player, click [Hi-Res Audio Player] icon in Applications folder.